Along with being given the 2014 Five Star Professional Real Estate Award, being named to Trulia’s 2014 “Best of” list, and earning the 2014 RE/MAX Platinum Club Award, I am proud to announce that I have rounded out a fantastic year by being named the 2014 RE/MAX All Properties Sales Associate of the Year. With over $11 million in sales for 2014, this is the second time I’ve been given this amazing honor and I am so thankful to everyone who helped me along the way. My success is not an individual feat—it is something that is a direct result of the support I have gained from my customers, network family, and friends, and I am unbelievably grateful for all of their blessings. At the end of the day, real estate is my profession and I am proud of where it has taken me but more than that, I am so thankful for the opportunity it has given me to interact with the community in a way that gives back and builds relationships which go far beyond simply buying and selling. Thank for this latest honor. It is truly one of the highlights of my life and career. 2014 was truly a great year for The Dinsmore Team and I am thrilled to announce that I was recently recognized in Trulia’s first annual “Best of Trulia” list. 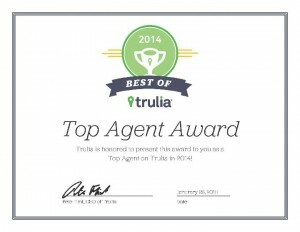 As the leading online marketplace for home buyers, sellers, renters, and real estate professionals, Trulia has opened up this new program to recognize agents who consistently garner the highest ratings from past clients in an effort to help consumers find and connect with the top agents in their area. 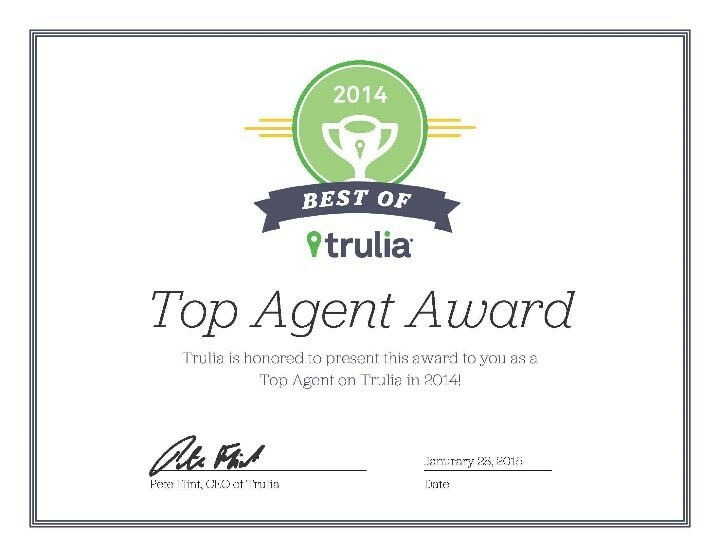 These awards, which are based upon the number of customer reviews an individual agent receives, as well as their client ratings and the number of buy-side or sell-side transactions that were completed in 2014, represents less than 2% of the agents with Trulia profiles in the country. 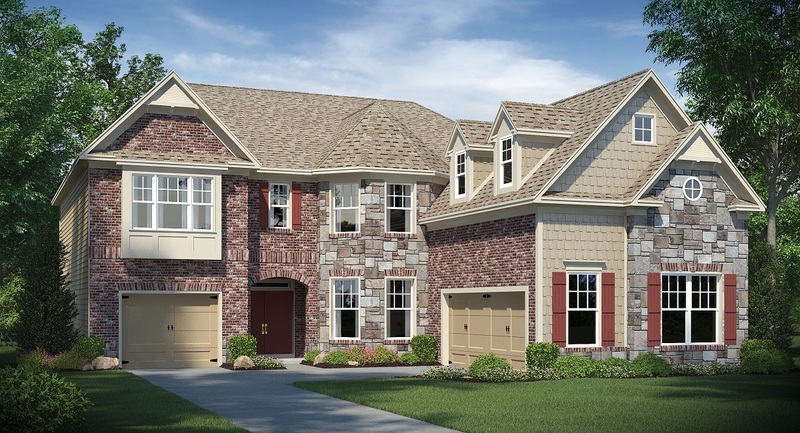 For consumers, this list offers the opportunity for buyers and sellers to browse top local agents and to see their experience listed in one place, while also allowing potential homeowners to view each agent’s past sales history and customer reviews. As an agent who has successfully utilized Trulia to market my listings, I am beyond honored to have received so many glowing reviews from my past customers. At the end of the day, personal recommendations are truly the heartbeat of my business and I am so thankful to have earned your trust. —here’s to making 2015 just as successful! When it comes to doing your job and doing it well, there’s nothing like the feeling of receiving an award which truly recognizes all of your hard work and dedication. Therefore, as we gear up for the spring real estate season, it is with abounding joy that I announce my inclusion into the RE/MAX Platinum Club for Realtors©. 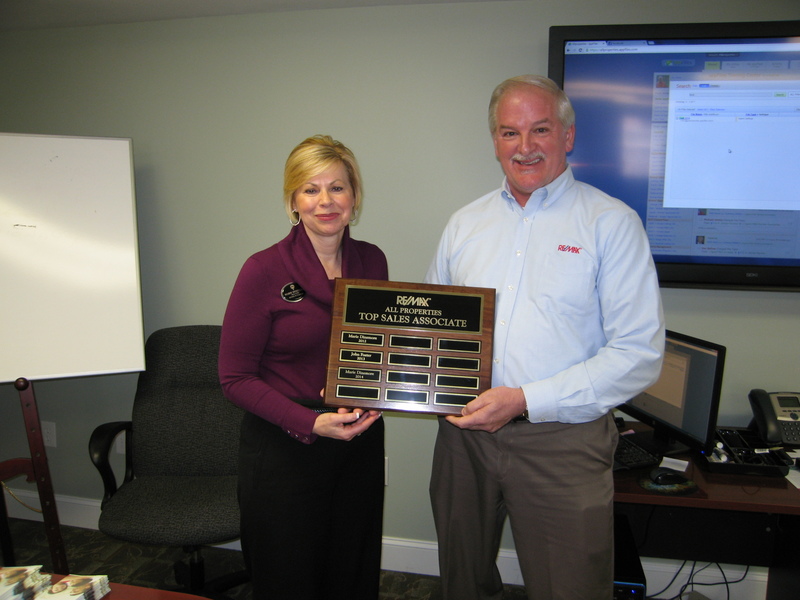 RE/MAX Club Awards are individual awards that are based on levels of annual commission from January 1st through December 31st and are distributed based upon single year commission reports. As one of the highest designations within the company, the Platinum Club recognizes those agents who have earned anywhere from $250,000-$499,999 in gross commissions. While I’ve taken great pride in winning the Million Dollar Club every year since 2003—meaning I have consistently sold more than $1 million dollars-worth of property—this designation, which I previously earned in 2005, truly pushes me to continue on my quest to raise the bar for the real estate industry, my clients, and the community. At the end of the day, I offer my customers a level of experienced understanding and keen attention to detail that are truly second-to-none. If you are looking for the services of a seasoned agent, please do not hesitate to contact me. I’m looking forward to making 2015 another successful year and I cannot wait to help make your dreams come true along the way.